As Apple iDevice fans of high loyalty, one thing that we would like to take for granted and expect much from is iOS update. The most current version, iOS 8.2, which was released on March 9th 2015, about a couple of weeks ago, is the biggest update since the iOS 8 was released on September 2014. Now as the final smoke finally settled, we would like to take a close look what are the enhancements and features of iOS. Does it perform as well as we had expected for long? 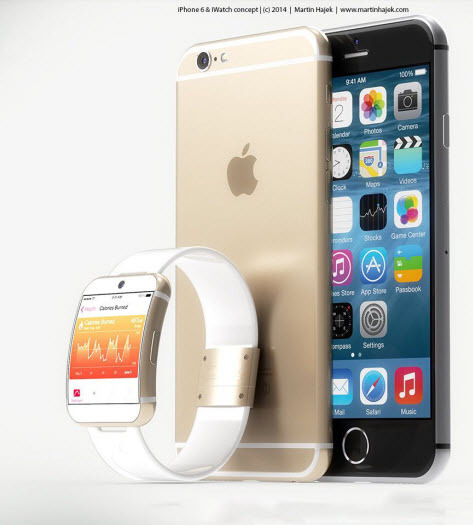 The most famous feature is the non-removable Watch companion app which connects iPhone and the Apple Watch. It serves no purpose until the Watch arrives next month. Well, this is Apple, who rarely announces operating system unless there is some hardware or new device to sell. But it is not fair to dismiss the iOS 8.2 update just because of the Apple Watch application which you cannot delete it from your iPhone, iPad and iPod Touch. So far, the iOS 8.2 update and its fixes and enhancements are treating the iOS devices well. In particular, the iOS 8.2 update is very solid on the iPhone 6 Plus and the iPhone 5.
iOS 8 has been plagued with various problem since the release and Apple’s doing its best to tackle the glaring issues. However, quite a number of iPhone/iPad/iPod Touch users keep complaining about an assortment of iOS 8.2 problems such as awkward performance, abnormal battery drain, wifi problems, and more. Though Apple’s discussion forums continue to fill up with complaints of various kinds, but most of them are isolated ones. iOS 8.2, as every iOS updates performs, has the potential to help, or hurt, the performance on your device. You are not forced to update to the most current version. One thing I would to mention is that you’d better to sync your iPhone, iPad, and iPod Touch to your iTunes or iCloud to back up all your files including Notes, Contacts, Reminders, Messages, Photos, Voice Memos and Safari Bookmarks. If you unfortunately lose your data while updating, you’d better to find an iOS device recovery application, iFonebox, to retrieve your lost data from your iTunes/iCloud backup file. If you are not at the least interest of the iOS 8.2 update, there is good news for you. It appears that the downgrade is still available for those that wish to move back to iOS 8.1.3. Since it’s impossible to predict when Apple will stop offering the downgrade so if you’re at all uncertain about iOS 8.2 and you want to have the option to move back down, you should probably make your move now.